Brief Description When seconds count! 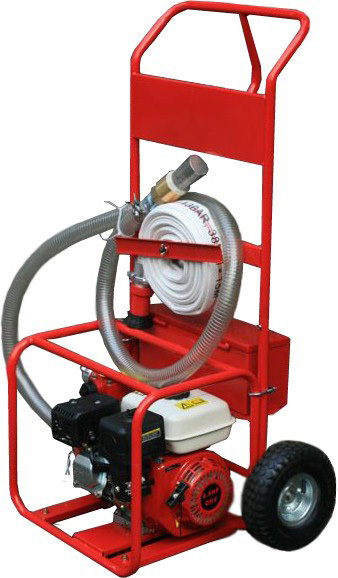 High Pressure Fire Fighting System. Ideal for water front cottages, rural dwellers with water source. 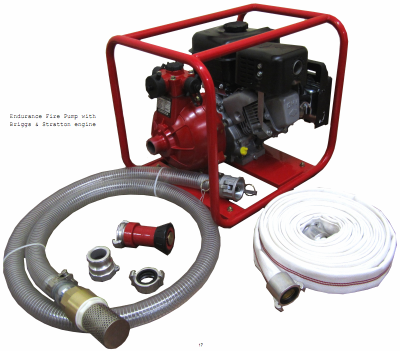 System includes 6.5 HP self priming 1.5 inch Pump; 50' Fire Hose; Fire Nozzle; Intake Hose and Filter. Reinforced 8 ft, 1 1/2 inch intake hose with a filter and quick connector. Specifications All connectors and cam locks are to Industry and Forestry standards.